Our expert staff of experienced EHS professionals can assist you with the development and documentation of your Occupational Health and Safety Management System (OHSMS), including any related procedures, policies and/or operational controls required. We can also help you with OHSMS implementation and OHSAS 18001 certification, as well as provide long-term support, including internal auditing, issue resolution and employee training. ​​Our commitment is to provide you with comprehensive, outcome-based consulting assistance that addresses the needs of your organization. To find out more about our company, our methods and our proven results, contact us today. “Pleased with communication and knowledge of safety and OSHA regulations. Excellent training for site employees on PPE. Employees are confident in MAS’ knowledge and support. 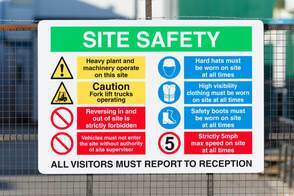 Good communications and updates to site management and good alignment going forward”. “Shari was personable, knowledgeable and experienced. She took time to understand the operation and discussed each item in detail. She made helpful suggestions that I feel will improve the safety and reporting of our overall operation”. “Shari performed an introduction for general awareness of OSHA safety requirements and relevance that has been educational and informative. She performed the safety audit in a professional manner. The walk through was detailed and risk issues highlighted”. “Needed assistance to complete safety documentation. Pleased with timely response and ease of forms completion. Shari is a pleasure to work with”. “Safety training presentations very thorough. Patient – took time to ensure that everyone understood”.